Sturdy. That’s what kale is. A leafy green vegetable that belongs to the cabbage family, but unfortunately is often overlooked because not too many people know what to do with it. I am sure that you have seen this long, imposing vegetable in your grocer’s store or at farmers markets. It is commonly called curly or ornamental kale. I like to grow it in my garden for making a classic Tuscan soup known as ribollita. Kale is known as cavolo nero (black cabbage) in Tuscany because the leaves are almost midnight black and thick and quilt-like in their appearance. When you buy it, look for crisp leaves and stems - not wilted ones with soft stems. Smaller leaf kale is more tender with a milder flavor. But all varieties of kale have some bitterness to them that is tamed a bit by boiling the greens uncovered. And now that we are really into fall, kale is one of those foods that can march us through winter’s wrath. It is a great source of fiber and calcium and contains phytonutrients that some medical experts say may reduce the occurrence of some types of cancers. However, more research needs to be done. Kale is loaded with vitamins A and C and an added bonus is that it is low in calories and has no saturated fat. So go ahead and eat all you want. 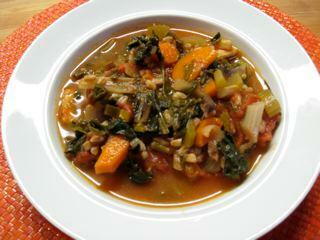 Use kale in soups and stews. Try it sautéed with onion, garlic and black olives as a side dish. Steam it and combine with tomato sauce atop your next pizza or mix it into whole wheat pasta and sprinkle it with Pecorino cheese. Ossi This year, the National Retail Federation expects that consumers will shell out a record $5.07 billion on costumes, cards, candy and decorations for Halloween. It seems as though Halloween is becoming as big a holiday as Christmas and the Super Bowl! In Italy, Halloween signals the night before All Saints Day (November 1st) known as Ognisanti and is a national holiday. On November 2nd, Il Giorno dei Morti, All Souls Day, Italian family members visit the cemeteries to honor their deceased loved ones. They sweep and clean away debris from tombs, say prayers, light candles, arrange lots of flowers and have a picnic lunch. Most likely they will eat ossi dei morti (bones of the dead). These are hard, brittle cookies often shaped in the form of bones, and every region of Italy has a recipe on how to make them. They are rarely made at home anymore since every pasticerria (pastry shop) sells them. And although ossi dei morti are a sobering reminder of our own mortality, they taste heavenly! Happy Halloween (aka) All Hallow’s Eve. Congratulations on this beautiful new site ! Kale is so underrated and this would be a welcome change after the past 5 days of Thanksgiving leftover recipes.I will make this for dinner tomorrow . 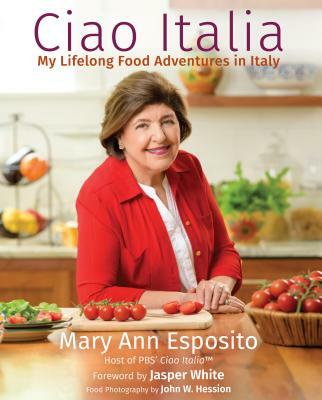 Wonderful website, Mary Ann! I love kale and find it best in soup. I grew a crop this year and have a winter's supp;y in the freezer. I picked the last batch just before Thanksgiving. Will plant it again in Spring. Gods' Blessings to you on your new site. It is beautiful, like you, Mary Ann.